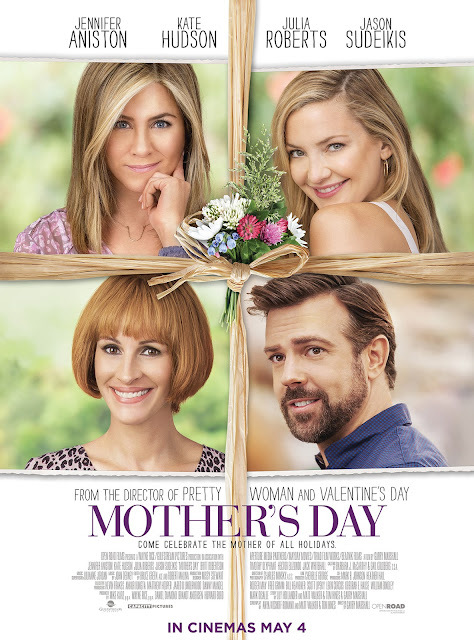 Aniston and Sudeikis, who’ve previously worked together in riotous comedies such as “We’re The Millers” marks their fifth movie as their characters’ lives are intertwined in “Mother’s Day.” “With Jason, we’ve been doing movies together which makes it quite fun and comfortable in all the best ways,” Aniston shares. “Sandy is basically met with the news that his ex-husband has remarried and she’s got to overcome on sharing her children and sort of rising above it. She’s a little thrown by his ex-husband’s new wife, and she’s thrown by the fact that she’s a much much younger woman because that’s a big deal when another person comes in as a co-parent to your child,” Aniston says of her character. Check out the films trailer here.